Dr. Barrera was recently awarded an NIH RO1 grant entitled Transmembrane peptides for targeting acidosis. This is a $1,644,667 award for the next 5 years to develop peptides that undergo conformation changes under acidic conditions leading to membrane insertion. The goal is to use this information to deliver therapeutic agents to cancer cells and other diseased cells. 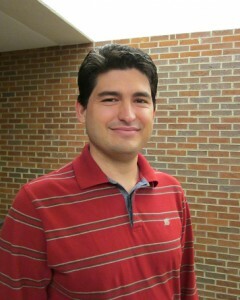 Go to Dr. Barrera’s lab website for more information about his research.